OutTwit leaves Beta, Gets a new name – TwInbox. Today we are announcing the first official, non-beta release of our popular Twitter add-in for Microsoft Outlook. This version introduces significant enhancements in usability and offers easier access to more information right where you need it. For example, you used to have to click on a person’s profile to see her follower count. Not anymore. Now it is available at a glance when you are reading a tweet. These changes make OutTwit TwInbox a perfect Twitter client – simple enough for Twitter newbies and powerful enough for business professionals. OutTwit was a great name for the product. It served us well through the beta cycle. Going forward, the product will be known as TwInbox for Microsoft Outlook. We have moved some of the more frequently used commands from the drop-down up to the toolbar. Now you can compose new updates, send @replies and direct messages and retweet messages and tweets right from the toolbar. You can also configure which components you would like to see displayed on the TwInbox toolbar. We have made some of the information that used to require extra clicks, much easier to access. Information such as sender’s full name, website address, follower counts and the number of updates, is shown in every message. No long do you need to click on the sender name to see the profile in a separate window. All necessary information is displayed right where you need it. Note: Due to the way Twitter Search API works, this information is not available for tweets fetched via search. Twitter folks are working on this issue. This is yet another example how TwInbox makes information more available to you and makes your Twitter stream much easier and faster to consume. 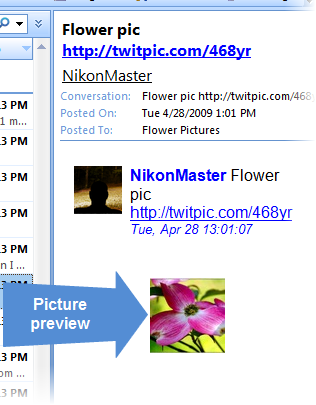 We have enhanced TwitPic picture preview and introduced support for Twitgoo picture preview. 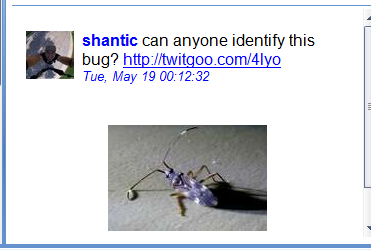 So you can see images right in the tweet, without having to click through. We would like to say a big Thank You! to all OutTwit users. Your feedback and support has been instrumental in helping us reach this milestone. We hope that you like the enhancements we are making. We know we can count on your continued support with future development of TwInbox. Please keep the feedback coming. We love hearing from you! We are excited to announce that today we are starting a public beta testing cycle for our brand new product – QuickJump. QuickJump is our first product that works outside of Outlook. QuickJump solves a relatively narrow, but very important productivity issue – navigating between various file system folders. QuickJump will help you get to the right folder with just a few keystrokes. What is especially interesting about it is that it works in standard “File Open” or “Save As” dialogs of any windows applications. Of course, you can use it to open folders in File Explorer as well. How much testing went into QuickJump to date? QuickJump has been in production deployment at several pilot sites for about two months now. We would like to sincerely thank all participants in the private beta for their feedback and encouragement. Private beta-tester feedback has been overwhelmingly positive for both usability and stability of the product. One of them, Mario Fortier, kindly allowed us to publish his quote. Thank you again! We are an IP firm in Canada and are dealing with more then 50,000 files each having it’s own sub directory often with subdirectories. With QuickJump we can really jump into any of those sub in a flash. Watch a quick screencast demo. We have also put together this FAQ page. Enough already, let me download and try it. To download QuickJump today, you will need a beta invitation code. Please use the following invitation code – qjbeta38982. Download from this page. Thank you for your interest! We are looking forward to your feedback. Several beta-testers were kind enough to publish reviews of QuickJump. If you write a review and would like us to list it here, please send us a note. The latest release of OutTwit has introduced several exciting features related to uploading and posting pictures as well as viewing tweets with images in them. OutTwit now supports posting pictures attached to Outlook email messages as well as any image files from your computer to Twitter via TwitPic, Posterous and Twitgoo. Read on for details on the new features, then head over to the OutTwit page to download the latest version. Follow @TechHit on Twitter to keep up to date with news and updates. OutTwit makes posting an Outlook attachment picture to Twitter super simple. Click Upload to upload the picture, then click Update to post your message to Twitter. Using OutTwit to post an Outlook email attachment to Twitter. With OutTwit, to post a picture to Twitter you simply drag-and-drop, then click Upload. Click Upload, then Update to post the message. Using OutTwit to post a picture to Twitter. If a tweet contains a link to a picture on TwitPic.com, OutTwit will show you a preview of this picture right in the message. You do not have to click on the link to see the picture anymore. Download and install the latest version of OutTwit from this page. Enjoy and happy OutTwitting! Microsoft has released Service Pack 2 for Microsoft Office 2007. This release includes significant performance and stability enhancements. Learn more and download the SP2 here. This page has more detailed installation instructions. Many of you have sent us messages saying how much you enjoy using OutTwit. Thank you for your kind words! We always like to hear from happy users. What would make OutTwit even more useful to you? What new features would you like to see added in the future? Let us know in the comments below. Thanks, and keep on OutTwitting! There are a few simple steps you can take to keep your Outlook running smoothly. If your Outlook is slow and unstable, it can put a serious drain on your productivity and even elevate the stress level. So take a few moments to get it shape. With Outlook 2003 and 2007 you can create “new style” PST files which do not have the old 2GB limit. However, for best performance, we still recommend keeping your PST files relatively small and not letting them grow too much above 1GB. Create multiple PST files and organize email into them by date or by project, client, etc. Keep attachments outside of the PST. Large attachments can quickly fill up your PST and make it grow huge. You can use EZDetach to save attachments outside of Outlook and still keep links to them in email messages. Save entire email messages outside of Outlook. Our MessageSave product can help you save entire messages outside of Outlook and create an email archival system using file folders. Running unnecessary add-ins may make Outlook slower. Check what add-ins you have installed. You probably have more add-ins installed than you think. Use the following instructions to see what addins you have installed and disable the ones you are not using. After you have split your messages into multiple PST files and removed some of the attachments, you need to [permalink href=”63″]compact the PST file to shrink its size[/permalink]. It is a good idea to compact your PST files periodically. If you are using an Exchange-based mail account, enabling Cached Exchange Mode will likely improve Outlook responsiveness. Note: If the network connection between your computer and the Exchange server is very fast and reliable and if you have a large Exchange mailbox, then disabling Cached Exchange Mode might actually result in better performance. If you are using an Exchange account in Cached mode, compacting your OST file may help improve performance. Using products such as Windows Desktop Search and Google Desktop Search is a great way to be able to quickly find email messages. However, if you are not careful, these products my negatively affect Outlook’s and your computer’s performance. Be sure to configure them to only index the email messages and files which you need to be able to find quickly. Another potential alternative is to use a light-weight search product. 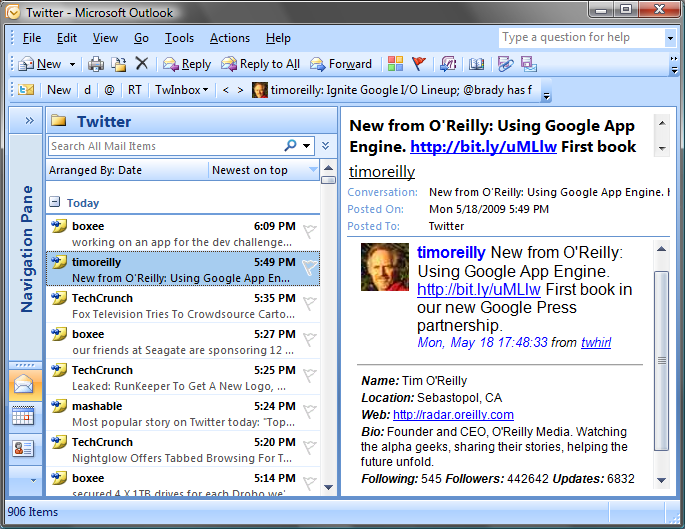 For example, there used to be an Outlook search product called Lookout. It worked well and was fairly light-weight on system resources. Microsoft bought the company that made it and the product is no longer officially offered. However, you might still be able to find a download somewhere on the Internet. Use Microsoft Windows Update service to keep up to date with Windows and Office patches and service packs. If you upgraded from Outlook 2003 to Outlook 2007, some people have reported that reseting a few internal Outlook files helps with performance. After you remove messages or attachments from your mailbox, the PST file size will not necessarily reduce by itself. In order to shrink the size of the PST file, you need to compact it. Right click on the top-most folder of your PST. (It is usually called “Personal Folders”, but may also have a different name). See [permalink href=”14″]more tips on improving Outlook performance and stability[/permalink]. Disabling unnecessary plugins is a great way to make your Outlook start faster, run more reliably, take less memory. In Outlook 2003 there are three places to look for installed addins and to disable them. “Tools->Other->Advanced Options->COM Add-ins…” and uncheck the Add-ins you do not need. Navigate to “Tools->Options->Other->Advanced Options->Add-ins Manager…” and uncheck the Add-ins you do not need. In Outlook 2003, some Add-ins are not shown in the UI. You have to look for them in the registry. Look at all subkeys of Addins. Those are Add-ins you have installed. To disable a particular Add-in, set its “LoadBehavior” key to 2. * – as always be very careful while performing registry modifications. Do not forget to restart Outlook after making these changes.